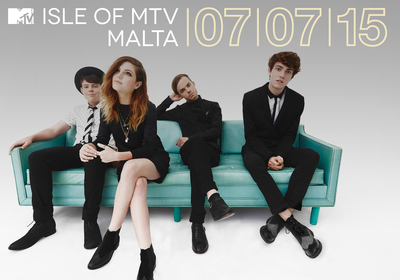 London/ Milan – 4 June 2015: LA’s alternative-pop offering ECHOSMITH are confirmed as the latest addition to this year’s Isle of MTV Malta lineup. Performing songs from their debut album ‘Talking Dreams’ the band comprised of siblings Jamie, Noah, Sydney and Graham Sierota will take to the stage of Il-Fosos Square Floriana, on Tuesday 7 July. A partnership between MTV and the Malta Tourism Authority, the renowned summer music festival now in its ninth consecutive year, will have 50,000+ fans bouncing on the granaries for DJ Martin Garrix, Jason Derulo, Jess Glynne, Echosmith and Tori Kelly. Echosmith first burst onto the US Billboard Hot 100 chart in September 2014 with their inspirational debut track ‘Cool Kids’. The song went on to become a top 20 hit around the world, was certified double platinum in the United States and Australia and has amassed over 40 million hits on YouTube. Dubbed MTV US Artists To Watch and MTV PUSH artists for the month of November 2014, Echosmith have since contributed to superstar DJ Zedds’s sophomore album and have embarked on their first international headline tour. Check out http://www.echosmith.com/tour for dates and tickets. To kick-off the party this year, vocal powerhouse TORI KELLY will open the stage with tracks from her debut album ‘Unbreakable Smile’. Tori first made waves in the industry after uploading a cover of Frank Ocean’s ‘Thinking About You’ to her then rapidly growing YouTube followers - the acoustic cover racked up 23 million views. Kelly decided it was time to give her growing fan base original material and promptly released her self-written, produced and mixed EP aptly named ‘Hand Made Songs by Tori Kelly’. 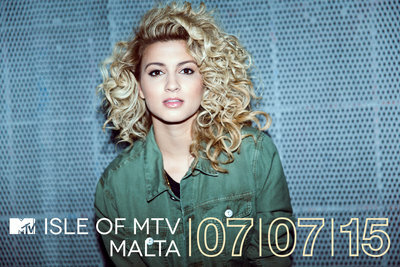 Rising to the Top 10 of the iTunes Pop Chart, Tori was an unsigned success. Isle of MTV has a reputation for showcasing some of the biggest names from the international music scene. Previous performers have included Lady Gaga, Flo Rida, Snoop Dogg, Black Eyed Peas, David Guetta, LMFAO, Jessie J, will.i.am and Rita Ora amongst others. The show will be filmed and edited into a 60-minute special that will broadcast across 20 MTV channels throughout Europe. 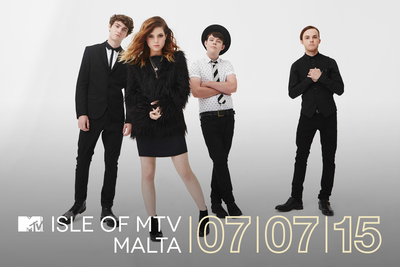 As part of an extensive integrated marketing campaign, the Isle of MTV Malta Special concert will be supported by marketing initiatives, all of which will drive awareness of the event as well as leverage MTV’s world renowned brand and unique youth insight, to further cement and promote Malta’s position as a holiday destination for young people. Over the nine years that Isle of MTV has been held in Malta, the number of visitors to the island under the age of 24 has increased by 120.9% and now account for 19.9% of all tourists.